Apr 11, 2019 6:08 AM CST Should you eat meat?? Apr 11, 2019 6:36 AM CST Should you eat meat?? I live on seafood & small amounts of poultry. I'm addicted to seafood and the benefits are fab. Apr 11, 2019 8:12 AM CST Should you eat meat?? Mercedes_00: I live on seafood & small amounts of poultry. Apr 11, 2019 3:04 PM CST Should you eat meat?? Vegetables sit in one place, meditating all their lives, never killing, never consuming anything that doesn't offer itself willingly to their roots. Vegetables are the highest life form on earth; and we owe it to them, to protect them from cows, goats, and sheep, by eating their enemies! Seriously, every living thing has a consciousness, and wants to live. To a cabbage, eating it, is still murder. Fruitarians are as close to being harmless as you can get; but fruits are alive too. We can't live without taking lives; and we can't escape feeding other living things with our bodies: it's wrong for us to try. We were born into the circle of life. What we eat matters less, than the spirit we die in. Apr 11, 2019 3:10 PM CST Should you eat meat?? All life forms are high. 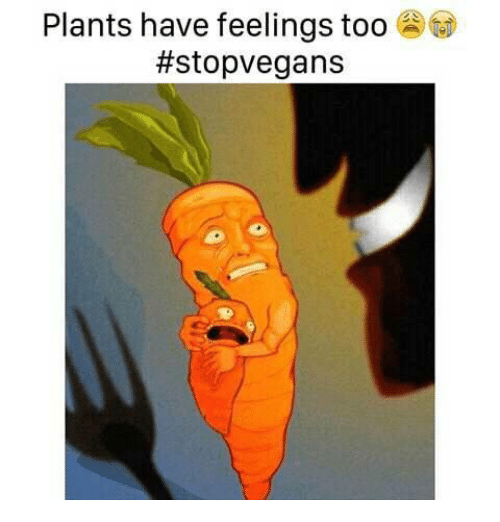 Calling your vegtables lower life forms, dishonors the food that nourishes your body. Apr 11, 2019 9:28 PM CST Should you eat meat?? I don't like meat. I just don't like the taste of it. But I force myself to eat it because it seems a sensible thing to do, and because humans are naturally omnivores. I did hear an interesting radio interview a few weeks back, with an expert who opined that we eat much, more, more meat than humans did even a hundred years ago. Meat has always been expensive, but now that everyone is middle-class and has a much better income, we can afford it much more easily. In the past, only the rich could afford to buy and eat meat in the way we all do today. A valid point. Apr 11, 2019 9:29 PM CST Should you eat meat?? mykingdomforanam: All life forms are high. I agree. "Potatos" and "tomatos" (sic) should have the vote. Not allowing them to vote is discriminatory. Apr 11, 2019 10:23 PM CST Should you eat meat?? charles_nz: I agree. "Potatos" and "tomatos" (sic) should have the vote. Not allowing them to vote is discriminatory. You still don't have the right to vote? Apr 14, 2019 1:53 PM CST Should you eat meat?? Apr 14, 2019 2:01 PM CST Should you eat meat?? Apr 14, 2019 2:02 PM CST Should you eat meat?? I've been eating less of it, more veggies on my plate, I do think I need some meat for strength. Apr 14, 2019 2:06 PM CST Should you eat meat?? aries1234: What are the benefits of eating meat? It's more economical than throwing it away? Apr 14, 2019 2:11 PM CST Should you eat meat?? I tried going vegetarian in the past and became very weak. I went to Chili's and got a hot beef sandwich type meal and I got better again, that's when I knew I couldn't go full vegetarian. Apr 14, 2019 2:40 PM CST Should you eat meat?? Apr 14, 2019 2:42 PM CST Should you eat meat?? Apr 14, 2019 2:46 PM CST Should you eat meat?? what u on a sprout ? Sun Apr 14, 2019 4:24 PM CST Should you eat meat?? thing is they are changing things all the time, first banana's weren't very healthy, then suddenly it appeared they are very healthy, now orange juice is bad for you, you have to eat biological, avoid bread and potatoes, avoid fat, avoid sugar, avoid salt, etc etc. In the Netherlands we had a scandal, microwave lasagna was mostly filled with horsemeat, what a shocker. Well, I don't care. It tasted good. That I'm paying a few cents to much because cow's meat is more expensive than horsemeat? Well, I know the most of my money goes to the government trough taxes etc. When you listen to all they say, you'd better start being an Anorexia Nervosa victim. But all these advises, eat this, eat that, don't eat this, don't eat that, kiss my arse. It's causing stress, and stress is very unhealthy. That we are eating to much meat? I doubt it, and it isn't the problem. The problem is overpopulation on this world and all the problems coming along. Being a vegetarian, okay, but how much space do you need for your daily vegetables? And how much space does a cow, goat, sheep, horse, dog, chicken etc need including their food. I think that is the main reason why wars and natural disasters are very necessary for us, to slow down the overpopulation. But still the worldpopulation is growing. And every new born needs the food. So people should take their responsibility, only 1 child in each couple for 50 years from now, then the worldpopulation will be back to maybe 10.000.000.000, now it's 17.000.000.000. So everybody getting more than one child is responsible for the world's biggest disaster. Now they are fighting over oil and religion, but within 100 years they're fighting for food. Take your responsibility and don't reproduce. Sun Apr 14, 2019 7:09 PM CST Should you eat meat?? Mon Apr 15, 2019 3:30 AM CST Should you eat meat?? I'm almost a vegetarian; but I eat meat sometimes. I might only cook meat once a month. My doctor says, I should eat lots of meat; but she didn't say how much: and I didn't ask.